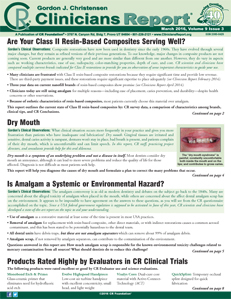 Are Your Class II Resin-Based Composites Serving Well? Is Amalgam a Systemic or Environmental Hazard? • Recognizing the Controversies: Where are We Now with Amalgam?